Ellie from Little Vintage Camera, who you can contact if you want to get involved with the #BritishBloggerSelection, emailed us all some questions this week to answer in order to get to know each other a bit better. So, today I have a Q&A and if you would like to see more of this kind of post be sure to let me know! I like making new friends through my blog and just having a bit of a chat with you all. I also love reading everyone's beautiful comments. I enjoy reading other blogs, which I spend a lot of time doing, and the excitement which comes with finding new blogs to read and making a new friend through that. I think it is about time I explained this one after the many comments and messages I get addressed to 'Emerald'. Basically I used to use 'The Neon Dove' as my screen name on Flickr as I wanted to convey a religious element, as I uploaded religious themed photography, but make it a bit jazzy at the same time. Thereafter I started a blog with the same name but it was a bit rubbish and I gave up. Then I started this blog but couldn't use the same name so chose to use Emerald instead of Neon as my birthstone is an emerald and I love the colour. Without wanting to put too much information on the internet about where I live, I live in the south in a village in the countryside with a lot of farmers but it is a beautiful area and I do really love it. I really like blue and I also am the biggest burgundy fan. Basically any jewel tones are my favourite. Who doesn't love a bit of Lana?! I fell in love with Video Games after hearing it at Zumba - for the cool down, don't'cha know?! I have none. This is a kind of 'tell me something interesting about yourself' question and you end up realising you have no interesting qualities. 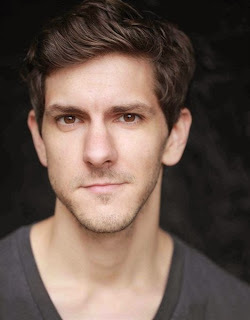 I am not really one to have celebrity crushes but if you had asked me this about a year ago I would have said Mat Baynton who you probably all know and love from The Wrong Mans but I really liked him in Horrible Histories (cool kid that I am). Also he sings under the name Dog Ears and is very good! I couldn't possibly pick one!! I love everyone's blogs! Question Nine: What made you want to join #BritiahBloggerSelection? I wanted to meet new bloggers and it looked like a fun thing and encourages me to blog frequently. I hope you liked this post and if you want to chat you can tweet me at @TheEmeraldDove or send me an email. Fun learning more about you!